-God’s unique relationship with Israel. “David My servant shall be king over them, and they shall all have one shepherd; they shall also walk in My judgments and observe My statutes, and do them. Then they shall dwell in the land that I have given to Jacob My servant, where your fathers dwelt; and they shall dwell there, they, their children, and their children’s children, forever; and My servant David shall be their prince forever. David’s son, Yeshua, fulfills this prophecy. 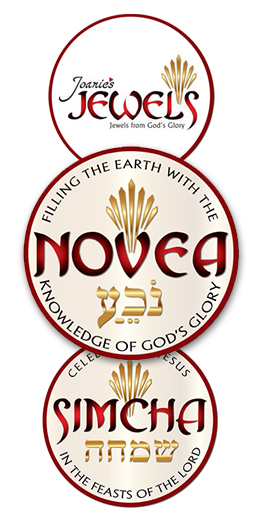 God’s everlasting covenant of peace is through His grace by faith and He will rule Israel and the world forever. PROPHESY AND PROCLAIM THAT GOD WILL FULFILL ALL HIS PROMISES TO ISRAEL. The Knesset Menorah, situated on the edge of the Rose Garden across from the Knesset building, is the work of the Jewish-English artist of German origin Benno Elkan (1877 – 1960). The Menorah is molded of bronze and resembles the menorah (7-branched candelabra) of the Temple, which has come to be a Jewish symbol. The sculpture is 4.30 meters high, 3.5 meters wide, and weighs 4 tons. The main theme of the work depicts the spiritual struggles of the Jewish people and it is engraved with the passage “Not by strength and not by power, but by my Spirit, says the Lord who rules over all” (Zechariah 4, 6). The Menorah includes engravings of biblical figures and events from the tradition and history of the Jewish people. The engravings on the six side branches of the Menorah portray the fate of the Israeli people since it was exiled from its land, and the engravings on the center branch portray the people’s fate since the beginning of the return to the land up to the establishment of the State of Israel. 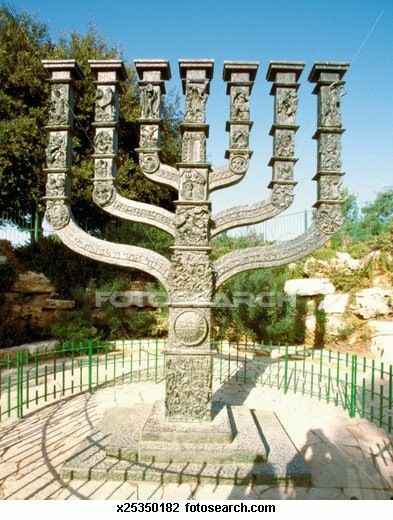 This entry was posted in God's Unique Relationship with Israel, Israeli and tagged Ezekiel 37: 24-27, Knesset Menorah.